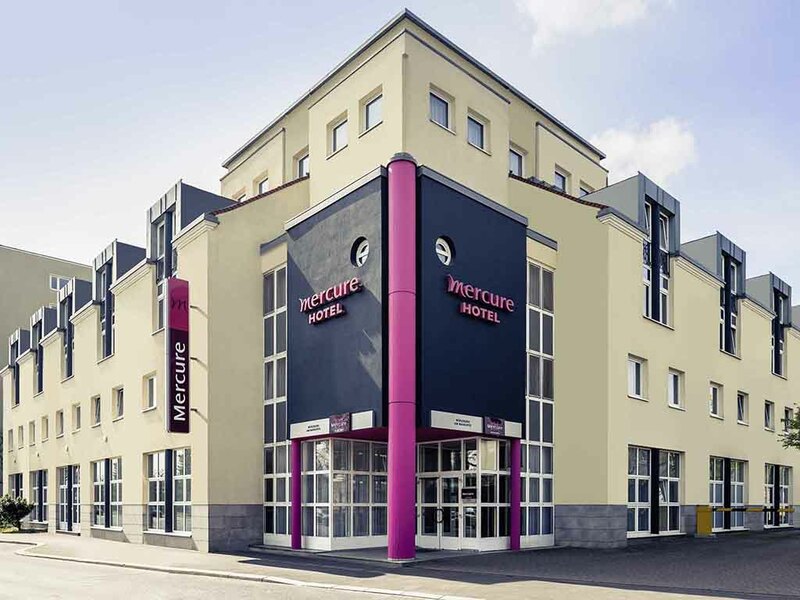 The fully air-conditioned 3-star Mercure Würzburg am Mainufer hotel is located at the foot of the Marienberg fortress (1.2 miles/2 km) in the center of Würzburg and has direct access to the River Main hiking trail. The hotel is close to the Würzburg Congress Center (547 yards/500 m). For centuries, Würzburg has been a cultural and spiritual center for Franconia: The city has long had a high-standing reputation - the University of Würzburg was founded in 1402 and the secondary residence of the Bavarian royal family was in the city. At the 3-star Hotel Mercure Würzburg am Mainufer, you can choose between Standard Rooms with single, double or twin beds, as well as Privilege Rooms with a double bed. The majority of the 116 rooms in our hotel have a tub. All of the rooms are air conditioned and have WIFI and DSL connections. One child aged up to 12 may stay in your room free of charge. Your pet is also welcome (charge of EUR 10/night). In September 2012, all rooms were completely renovated and modernized. What better way to unwind at the end of the day than with a cold beer or a glass of wine. Visit our lobby bar, open from 5pm to 11pm, and while away the hours with drinks and snacks.